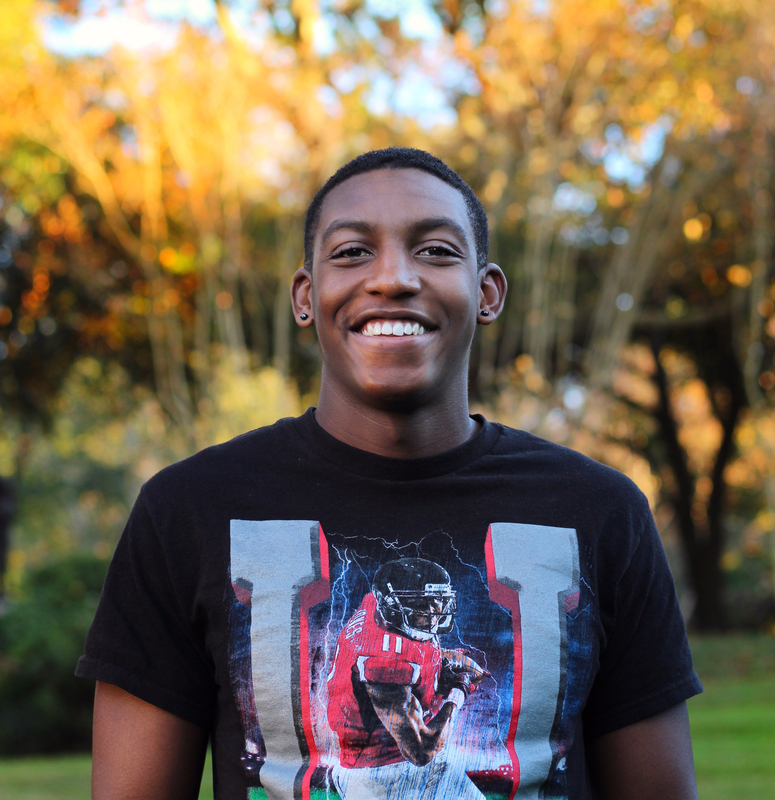 Gabriel Ryce is a sophomore from the outskirts of Atlanta who enjoys clothes, shoes and playing FIFA. Photo courtesy of Claire Dooley. Gabriel Ryce is a sophomore business administration major from Jonesboro, Georgia, and he plays soccer for Millsaps. When he’s not in right mid-field, he’s either watching TV, playing ping pong or hanging out with his family. Gabe is also a member of Pan-African Student Alliance (P-ASA). GR: My mom and the money that I received to come here. And soccer… those three things. P&W: What’s your favorite part about being here? GR: I like the people here. I love my friends. They make it fun to go here. P&W: Which professor has made the biggest impact on you? GR: I would say Dr. Franey. She was my Heritage teacher, and I spent two semesters with her. She rubbed off on me a lot. She made me become a better writer. I never liked seeing teachers, but I would go see her to become a better student. GR: I want to go to a beach somewhere…like Hawaii or someplace like that on a vacation. I’d walk the beach, swim and just relax. P&W: If you could relive one day of your life, which one would you choose? GR: Prom was a really good night for me… my senior prom. I got to be with a girl I liked at the time and all my friends…. You know your big group in high school? Just being able to spend the night with them. We can’t do that anymore because we all go to college and went our separate ways. We don’t see each other that often. P&W: What do you admire most about yourself? GR: My willingness to try new things. I feel like I’m open to new experiences. P&W: What TV show could you watch for hours and never get tired of? GR: Game of Thrones. I watched it for two days straight when I first started to get myself caught up. P&W: Tell me an embarrassing story about yourself. GR: There was a German Shepherd, and it was really sweet. I was scared of them because I didn’t have a dog, and I didn’t know how dogs acted. I used to have a goal in our backyard, and I would go out there to kick. If I kicked it in the neighbor’s yard I would make my dad or older sister come outside and go get it. GR: Energetic, people-person and humble. The Purple and White thanks Gabe for his time! If you or someone you know would like to be the next “Meet the Millsapian,” you can contact me at clevecd@millsaps.edu.